Dr. Britt Cooper is the Chair of Fine and Performing Arts and Director of Choral Activities at Walsh University. He directs two university choral ensembles: the Walsh University Chorale and the Walsh Chamber Singers, an auditioned touring ensemble. He holds a Master's degree in Choral Conducting from the University of Alabama and a Doctorate in Choral Conducting from the University of South Carolina. Under his direction, the Chamber Singers have toured extensively throughout Ohio and have traveled to Washington D.C., New York, Chicago, and Ontario, Canada. In the summers of 2011 and 2015, the ensemble traveled to Italy, performing at two papal audiences and at major basilicas throughout Rome, the Vatican, Assisi, and Florence . Through his career, Dr. Cooper has also directed collegiate choirs in Georgia, South Carolina, and Tennessee. He is a member of the American Choral Directors Association and won Second Place in their National Graduate Conducting Competition in 2003. Dr. Cooper also serves regularly as a clinician for honor choirs throughout the region. As a singer, Dr. Cooper has given recitals and concertized as a soloist throughout his professional career. He has sung with and studied under some of the most important conductors in American choral music, including Robert Shaw and Joseph Flummerfelt. 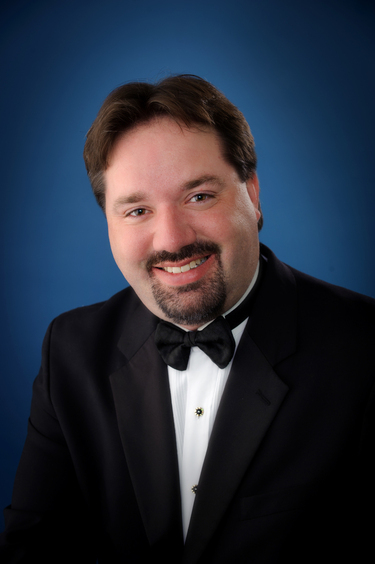 In the Fall of 2012, Dr. Cooper began a new appointment as Director of the Canton Symphony Chorus. In that role, he has prepared several major works including Mahler's Resurrection Symphony, Beethoven's Symphony No. 9, and the Brahms Requiem. In April of 2016, Dr. Cooper will direct his Masterworks debut with the orchestra, conducting the Lux Aeterna of Morten Lauridsen and the Polovestian Dances of Alexander Borodin. Dr. Cooper lives in North Canton with his wife, Heather, who teaches music at Canton Country Day School, plays organ at Faith United Methodist Church in North Canton, and directs a children's choir with the Summit Choral Society. Their lives have been reshaped since 2011 by their daughter, Megan, as well as their son, Mark, born in 2014.